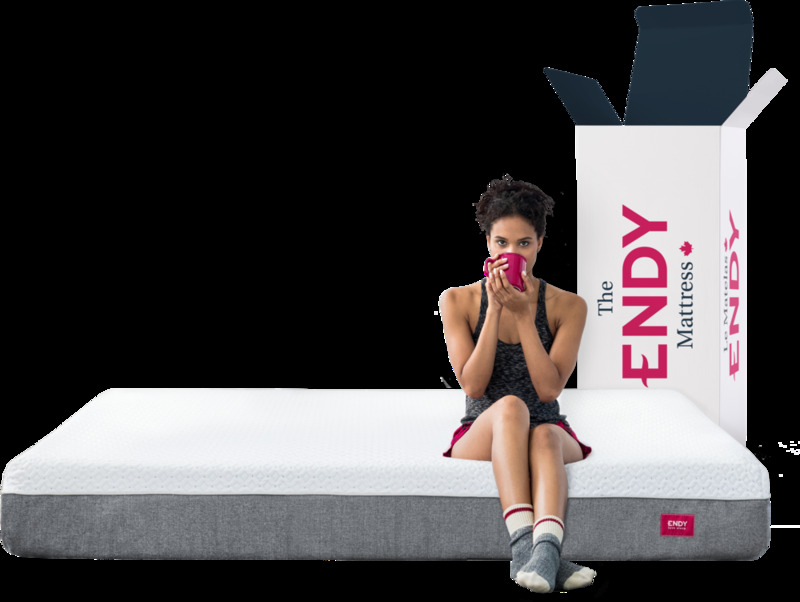 Here at Endy, we make the necessary moves to be Earth-friendly wherever we can. That’s why we’ve partnered with bike courier companies Send It Courier (Toronto) and LVM (Montréal) to efficiently deliver our products right to your door. 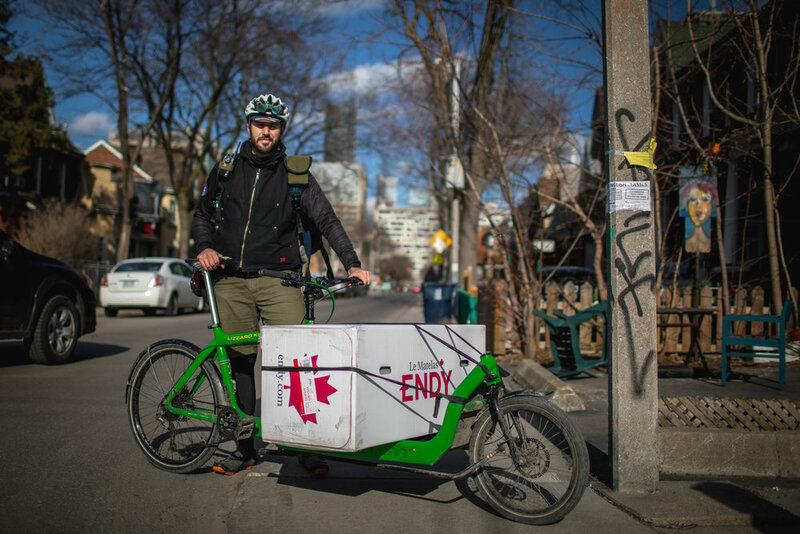 Fast, compact, and powered by a human versus fuel, bike couriers are just as—if not more—effective than delivery trucks. So far, we’ve delivered over 2700 mattresses by bike, and we’re proud to say that this number grows every day. We were lucky enough to chat with Alex Baravyan, a rider with Send It Courier. Get to know why he rides below! What makes travelling via bike important to you? For me, riding a bike is the best way to get around Toronto emissions-free while avoiding paying for parking! It's also a lot more fun than driving or taking the TTC. I began cycling as a means of getting to school as a kid. I eventually got more adventurous and used cycling as a standalone activity. There’s lots to look at too, depending on where you're going and the route you take. You can also stop at anytime for any reason, whether if it’s because I see a friend or a five dollar bill floating down the street. This winter, I found three hats, a scarf, and a pair of gloves on the road. I also returned two wallets, a cell phone, and a purse. I'm always looking—for traffic flow, for people, new construction, accidents, film sets, or street performers. There’s a lot to take in. Biking in a dense city can be dangerous and intimidating. What advice would you give to other cyclists to stay safe on the road? I think visibility is key. As a 6'5" man, I’m not often bothered on the road, but my fellow cyclists who are smaller tell me that they feel invisible on the road. My suggestion is that you make yourself as bright and reflective as possible. What’s the biggest misconception about bike couriers? That we’re lower-class, poor, or trashy. We're just regular people working an interesting day job. Some of us are also writers, artists, lawyers, and architects. What’s the strangest thing you’ve ever delivered? An industrial deep fryer. It was the whole unit from a kitchen supply store. It was going from Nella Cutlery on Queen St. E. to Electric Mud on Brock Ave. That was fun.